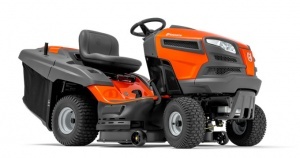 Convert your collecting lawn tractor into a rear discharge machine. 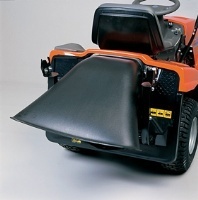 This discharge deflector allows your Husqvarna tractor (compatible with the TC 38, TC 138, TC 142T, TC 239T and TC 342T - please check if in doubt before ordering) to discharge the grass clippings to the rear rather than collecting. 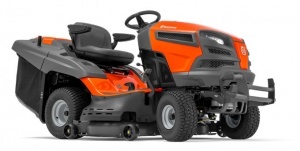 This is ideal for working on larger areas or with longer grass where using the collector may not be feasible. 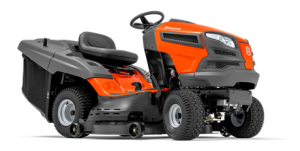 A collecting and mulching garden tractor, this machine boasts a powerful Endurance Series V-Twin engine with hydrostatic transmission and cruise control. It has a 97 cm wide cutting deck. 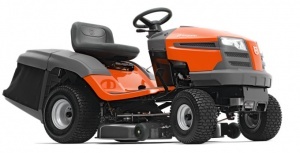 For an enjoyably effortless mowing experience, this Husqvarna lawn tractor uses a powerful and reliable Kawasaki twin engine and fast pedal-operated hydrostatic transmission so you can focus on what you're cutting.